Chap. Herman G. Felhoelter served with the 19th Infantry Regiment. On July 16, 1950, Felhoelter was north of Taejon helping a group carry 30 wounded Soldiers. They came under attack and when it became apparent they could not endure the enemy assault. Felhoelter convinced the medical officer to lead all able Soldiers to safety while he remained with the wounded and dying. They were soon attacked and killed. 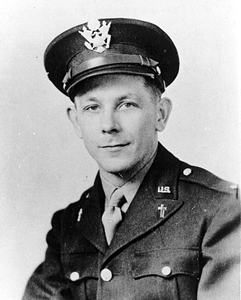 Felhoelter, who posthumously received the Distinguished Service Cross, was the first Chaplain Corps casualty in Korea. “The Korean conflict already contained those physical and psychological elements of every war-deafening noise, rampant confusion, overwhelming fear and fatigue, and indescribable carnage. Intermingled with it also were those inexplicable acts of self-sacrifice by common men who sought no special recognition or personal honor,” Rodger R. Venzke wrote about the first few days of the Korean War. On 16 July, 1950, 19th Infantry Regiment Chaplain Herman Felhoelter and 100 other men attempted to escape from advancing North Korean troops after a battle near Taejon while carrying nearly 30 wounded Soldiers. When evading the enemy with so many injured men proved impossible, the Catholic Chaplain stayed behind with the wounded while others escaped. From a distance, a sergeant looked back to see enemy troops overcome and murder the wounded, to include Chaplain Felhoelter, who was praying over them. Eleven days after American Soldiers had entered the fight, and on the day before his 37th birthday, the first Army chaplain casualty of the Korean conflict lay dead on the battlefield. “I am not comfortable in Korea (that is impossible here) but I am happy in the thought that I can help some souls who need help,” Chaplain Felhoelter had written to his mother four days before his death. Felhoelter was posthumously awarded the Distinguished Service Cross for his selfless service. During the Korean conflict, 13 chaplains were killed. Six died in the first month of the war. In 1953, 175 Army chaplains had received 218 decorations including 22 Silver Stars. More medals were awarded later, including to CH (CPT) Emil Kapaun, who was posthumously awarded the Medal of Honor on 12 April 2013. The President of the United States of America, under the provisions of the Act of Congress approved July 9, 1918, takes pride in presenting the Distinguished Service Cross (Posthumously) to Captain (Chaplain) Herman Gilbert Felhoelter (ASN: 0-549715), United States Army, for extraordinary heroism in connection with military operations against an armed enemy of the United Nations while attached to Headquarters and Headquarters Company, 19th Infantry Regiment, 24th Infantry Division. Captain (Chaplain) Felhoelter distinguished himself by extraordinary heroism in action against enemy aggressor forces on the Kum River, north of Taejon, Korea, on 16 July 1950. When seriously wounded men of the 19th Infantry could not be evacuated in the face of an overwhelming night attack by superior enemy forces who had cut off the main route of withdrawal, Chaplain Felhoelter, without regard for his own personal safety, voluntarily remained behind to give his wounded comrades spiritual comfort and aid. When last seen, Chaplain Felhoelter was still administering to the wounded. 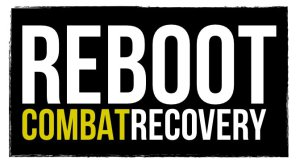 This article first appeared in Army Live: The Official Blog of the United States Army.